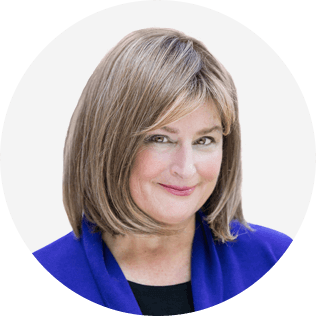 Sam Horn, Founder/CEO of the Intrigue Agency and top-rated speaker at two International Platform Association conventions, is the author of POP!, Tongue Fu!, IDEApreneur, ConZentrate, What’s Holding You Back, the Washington Post bestseller Got Your Attention? and SOMEDAY is Not a Day in the Week (St. Martin’s Press, 2019). Her books have been endorsed by Tony Robbins, Seth Godin, Brian Tracy, Dr. Susan Jeffers, Dan Pink, Ken Blanchard, Keith Ferrazzi, Dr. Marshall Goldsmith, featured in New York Times, Forbes, Readers Digest, INC, Investors Business Daily, on every major TV network (including on Jay Leno’s Tonight Show) and on NPR. Get prepared to take notes as Sam shares her secret sauce for designing/delivering an original TEDx talk that positions you as a global thought leader – and that can be turned into a legacy message, mission and movement that scales your influence for good. Have you seen the careers of Brene Brown, Simon Sinek and Sir Ken Robinson catapult because they delivered an inspiring TED talk that went viral? Want that to happen to and for you? If your goal is to make a positive difference, a quality TEDx is one of the best ways to do that. It can catapult your career, scale your visibility and leverage your influence – for good. 3. Learn specific strategies for submitting a winning title, topic and application that gets you invited to speak at TEDx and other career-making speaking opportunities (e.g., SXSW, Wisdom 2.0, industry events).